After a 12 year tryst with YSL’s Champagne and then Dior’s Poison and recently Midnight Rose by Lancome, it looks like my heart has turned to another…my olfactory nerves crave a new smell in form of ‘V’ Perfumes, the second release from Clive Christian’s Private Collection. As Victoria (daughter of Clive Christian) tells me, the new release bears the same concentration and complexity for which the House has become synonymous. 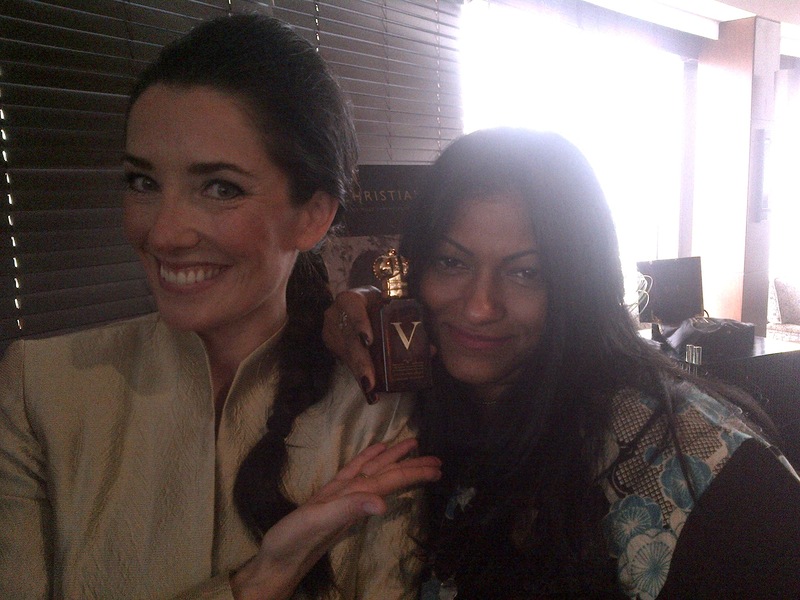 Clive named ‘V’ Perfumes after her… Victoria is his eldest daughter. ‘V’ for women is a White Floral Chypre where Orange Blossom, traditionally associated with joy and betrothal and is embraced by Rose and Jasmine. Entwined with soothing Chamomile and sensual Lavender, the spirit of this romantic Perfume brims with utter femininity. Belonging to the Private Collection, ‘V’ for Women is presented in the customary deep amber bottle which pays tribute to the original apothecary bottles from the perfumery uniquely crowned by Queen Victoria in 1872. I can’t wait for August when this will be sold to the general public through Paris Gallery…I’m just so glad I was the privileged few to get the private preview of this before it hits the Arabian shores. Highly recommended because the woman’s version is WOW! I could still smell the base notes more than 12 hours later.